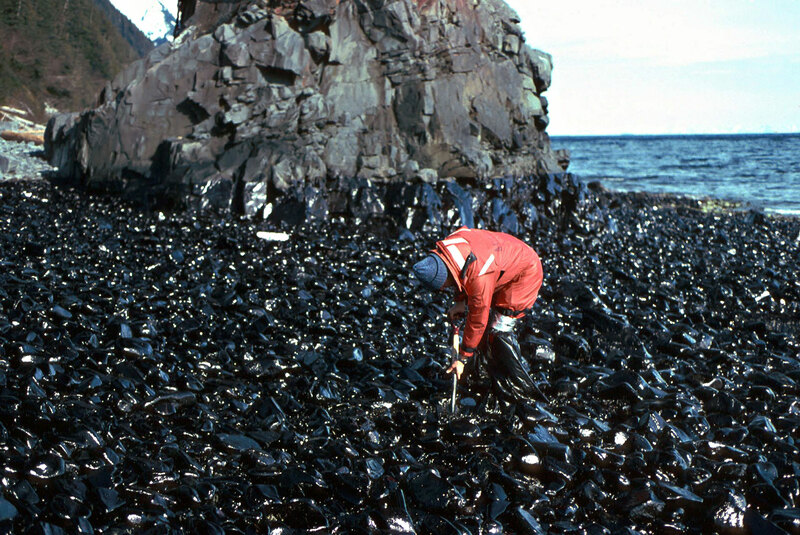 Dig a shallow hole into certain beaches along Alaska’s Prince William Sound and you will still find oil from the 1989 Exxon Valdez spill. As your shovel scrapes through gravel, the crude will mix with the water seeping into the small hole. The first time I did this was nine years ago, while visiting researchers studying the spill’s lingering impacts. Holding an oil-stained stone in my gloved hand, my mind flashed to March 24, 1989, when I first heard the news that the Exxon Valdez, a 300-meter tanker, had run aground on Bligh Reef. I was a college student in New York. As the spill and its chaotic aftermath unfolded on national news—with oil fouling 2,200 kilometers of coastline, killing wildlife and ruining livelihoods—my budding interest in environmental issues grew. That soon led to a seasonal job in Alaska. Today, I teach a continuing education course about Prince William Sound to small groups of Alaskan teachers. For the class, we camp out on one of the sound’s scenic beaches. When I talk about the spill I invite participants who were there at the time to share their memories. Sometimes their recollections are accompanied by tears as they process events for the first time in years. If you move to this region as I did, you quickly learn these memories are as deeply embedded in the community as the oil is beneath the beaches. They fuel a fierce love of place. Paradoxically, direct experience of the spill is the possession of an increasingly older generation. 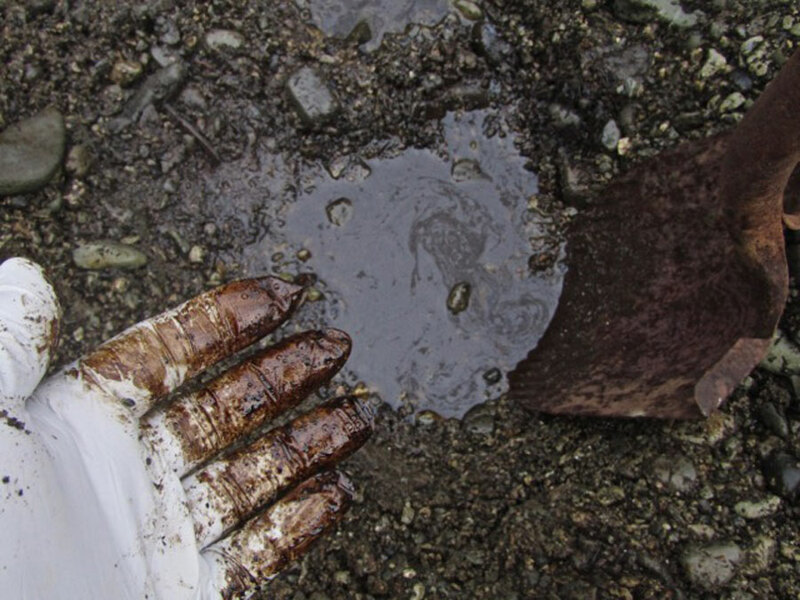 The Exxon Valdez disaster is growing less tangible over time. Today, you must be approaching 40 to even faintly recollect it. People here debate how to best keep the spill relevant, especially to younger people. Compounding the challenge, Prince William Sound itself no longer bears the immediate signs of the spill. Instead, visitors find a wild and beautiful sea dotted with hundreds of islands beneath the towering Chugach Mountains. Glaciers flow from high peaks and ancient rainforest cloaks the lowlands. Diverse wildlife includes bears, whales, and annual waves of migratory birds. Unquestionably, Prince William Sound has rebounded. Many human activities, including commercial salmon fishing, recreation, and tourism, have resumed. They anchor a thriving Prince William Sound economy, evident in the fishing boats, kayaks, and tour boats plying the sound each summer. Those of us living near the sound confidently feed our families with its salmon, shrimp, and other foods—although we do avoid shellfish from beaches still holding oil. Of the 24 species that were listed by the Exxon Valdez Oil Spill Trustee Council as injured because of the spill, 19 are considered recovered or likely recovered, including sea otters, bald eagles, harbor seals, and common loons. But lingering oil persists at hard-hit sites. Although only a fraction of the original 42 million liters, it remains nearly as toxic as the day it poured from the tanker. Research indicates it is not degrading. However, the oil is not on the surface and its decades-long threat to birds, shellfish, and marine mammals appears to have finally ceased. While resiliency is a hopeful takeaway from the spill, it should not mask the ongoing impacts. The AT1 pod of locally distinct killer whales has yet to recover, and likely never will. The day of the spill, members of the pod were photographed swimming in oiled waters near the ruptured tanker. As detailed by Alaskan author and marine biologist Eva Saulitis, who studied the killer whales of Prince William Sound for many years, the oiled animals’ subsequent disappearance, possibly along with other factors, permanently undercut the survival of the pod. Today, the small pod drifts toward extinction. Impacts reach land, too. Prior to the spill, the rugged Naked Island archipelago in the central part of Prince William Sound was critical breeding habitat for pigeon guillemots and other seabirds, which nest in bluffs above the water where they forage for fish. The islands took a direct hit from the spill and guillemot populations never recovered. Recently, biologists took the dramatic step of killing mink on the islands, hoping that removal of the egg-eating predators might restore the birds. Herring, once culturally and economically vital have also not returned and commercial harvests have been closed for more than two decades, although disease and predation now appear to be the primary causes behind the closures. Another unrecovered species is the marbled murrelet, a once-prolific seabird. The population is down nearly 70 percent since the spill but, like herring, external forces are likely at play. As the spill recedes into a more distant past and climate change accelerates, it becomes harder to tease out the disaster’s continuing effects. Less debatable is the lingering damage to the area’s wilderness resource, specifically amid the 8,000 square kilometers of western Prince William Sound that fall within America’s largest congressionally designated wilderness study area. With oil beneath beaches, certain species unrecovered, abandoned structures, and garbage still present, the wilderness remains injured. These conditions feed my own thoughts on how best to keep the spill relevant. To my class, I present it as an important event in our increasingly tragic relationship with fossil fuels. Although guillemot declines or lingering oil are not obvious today, we see plenty of modern damage from our energy choices. Most obviously, climate change is decimating our once-mighty glaciers, disrupting the marine food chain, and contributing to massive wildlife die-offs. As plastics steadily wash onto local beaches, tangling into plants and working their way into fish, wildlife, and our own diets, some say the tide of plastic is even more toxic than the spill. Somewhere in all of this is the lesson for today. It is one part hopefulness about nature’s resiliency, one part outrage at the lingering damage, and a measure of urgency about our need to move toward a clean-energy future. Tim Lydon writes on conservation and public lands issues. He has worked on America's public lands for three decades, both as a guide and for land management agencies, and he is a founding member of the Prince William Sound Stewardship Foundation. His writing has most recently appeared in The Revelator, High Country News, Yes! Magazine, Terrain, and elsewhere. 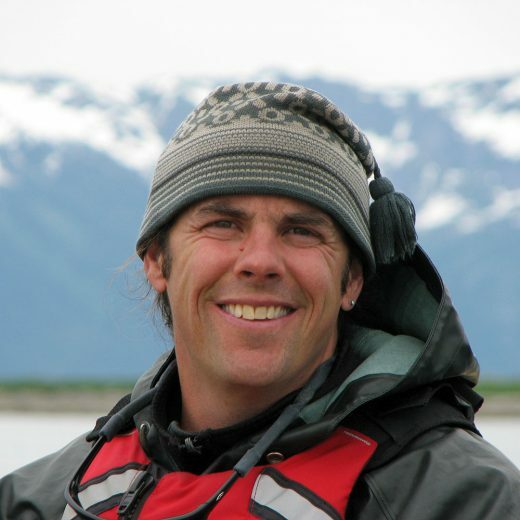 Cite this Article: Tim Lydon “Wounded Wilderness: The Exxon Valdez Oil Spill 30 Years Later,” Hakai Magazine, Mar 22, 2019, accessed April 23rd, 2019, https://www.hakaimagazine.com/news/wounded-wilderness-the-exxon-valdez-oil-spill-30-years-later/.